The lovely people at AJ&Smart ran a little webclass where they shared 3 secrets for running better Design Sprints. I listened and sketchnoted the summary below. If you are interested in Design Sprints, you should check out their YouTube channel. 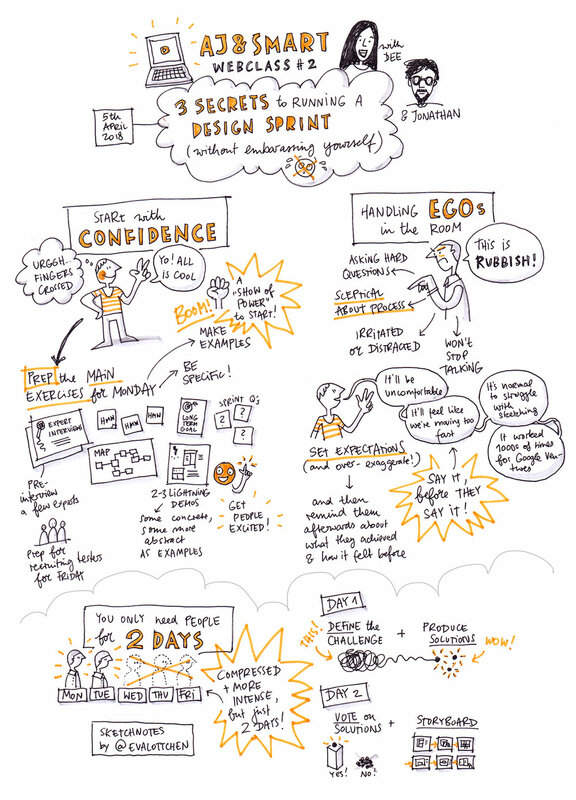 It has lots of very useful videos that explain different parts and aspects of Design Sprints.